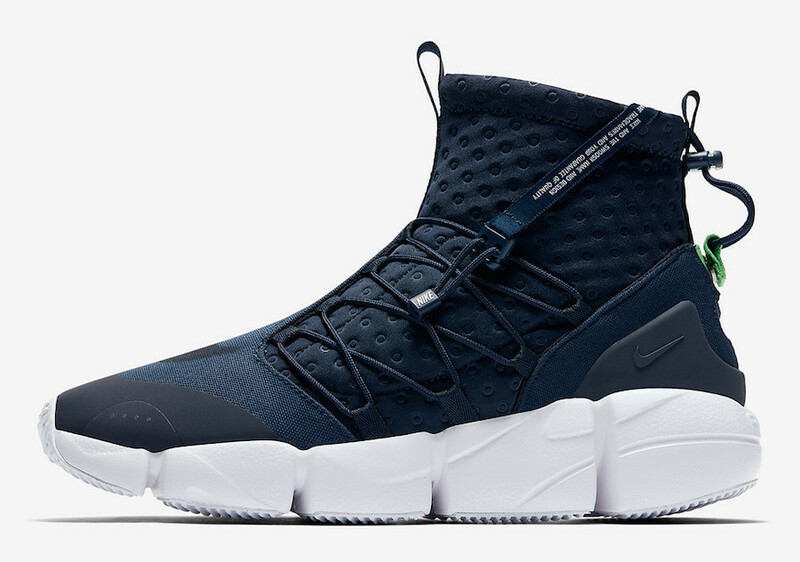 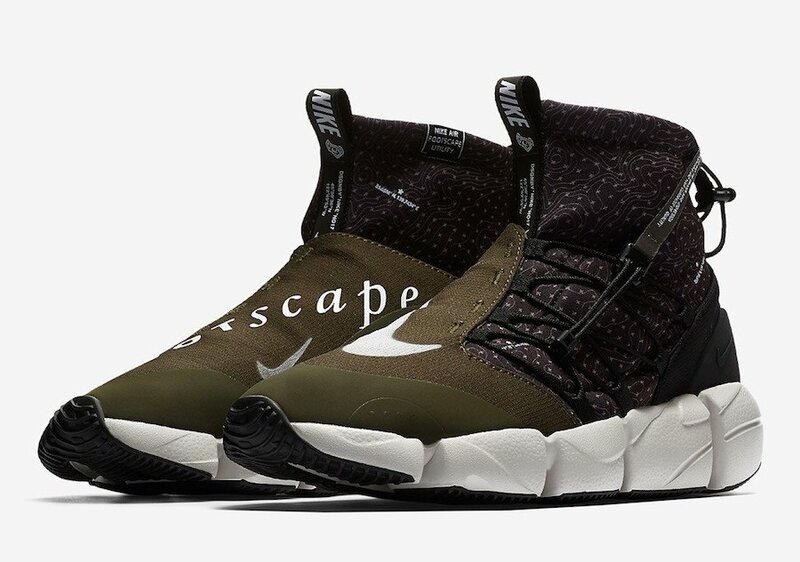 The Nike Air Footscape Mid Utility will arrive at more retailers in brand new color options during the month of March. 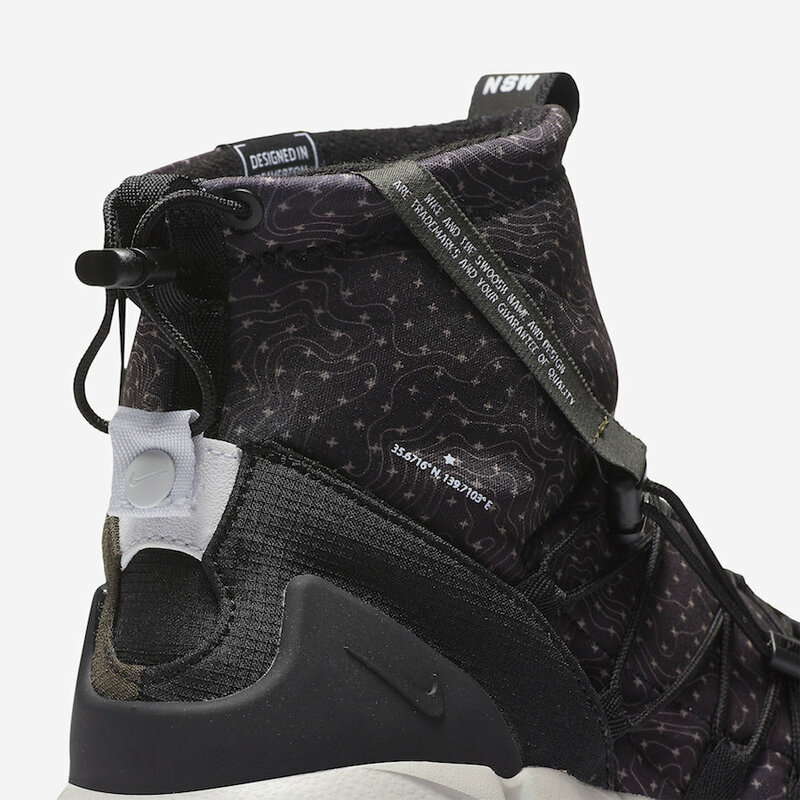 We now have a look at two upcoming drops. 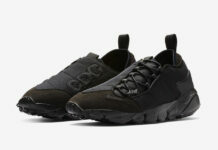 The first pair features an Obsidian and White color combination while the second features a Black and Cargo Khaki makeup. 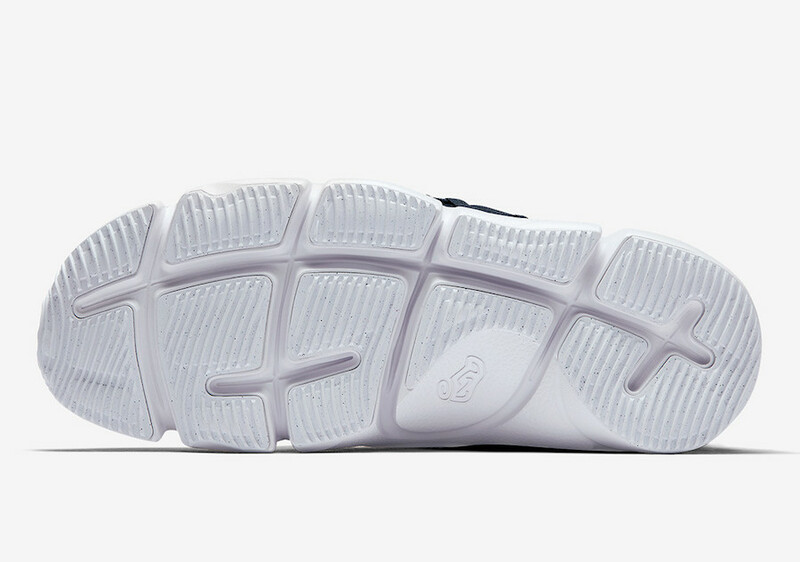 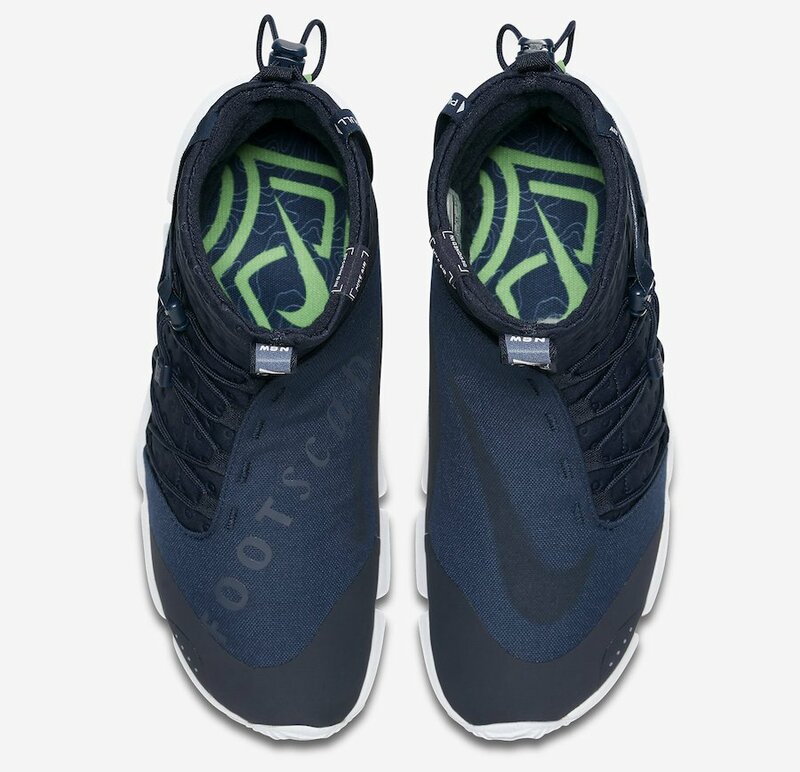 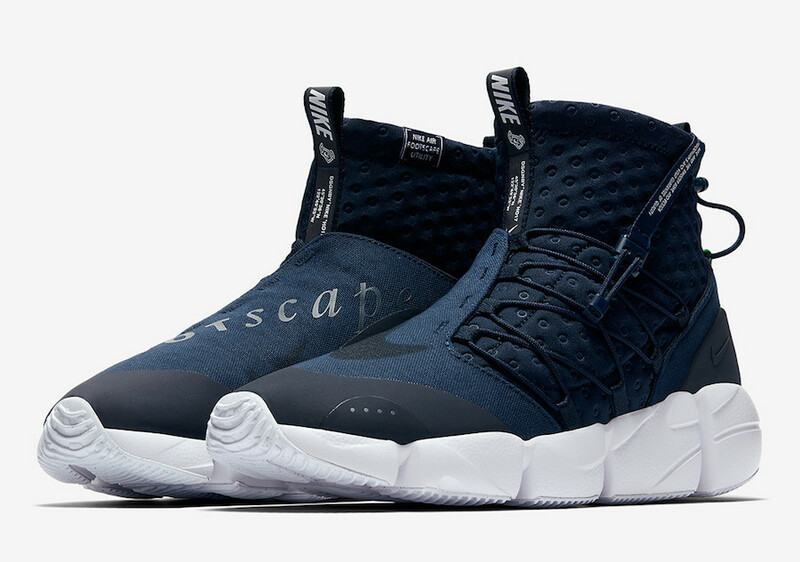 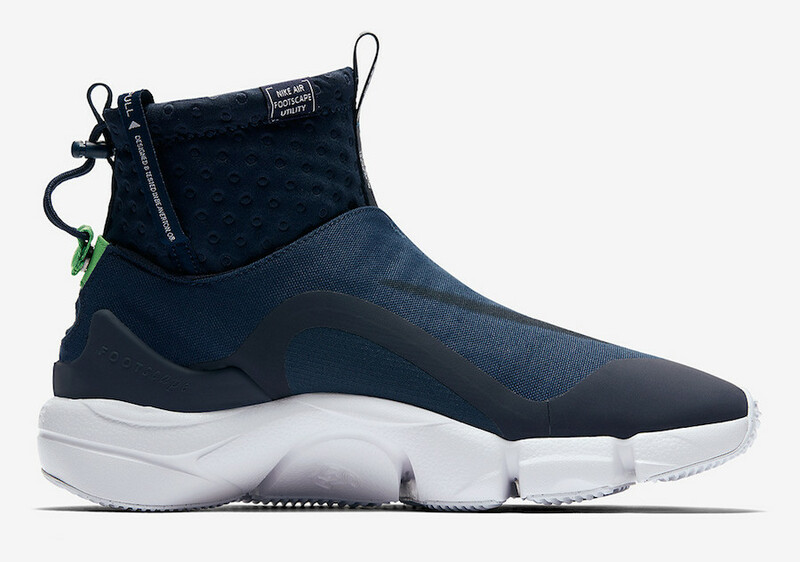 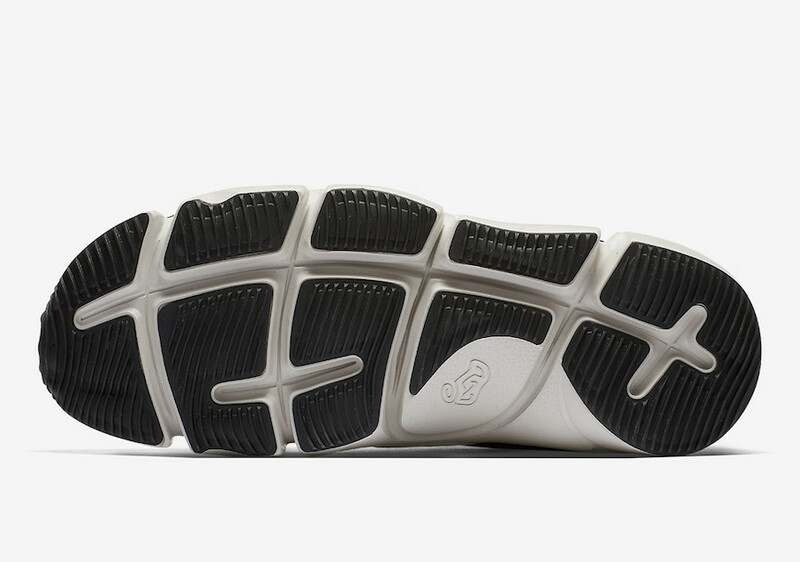 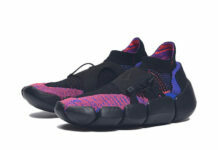 Looking closer the two feature a large Nike Swoosh and Footscape printed across the toe box on the medial side. 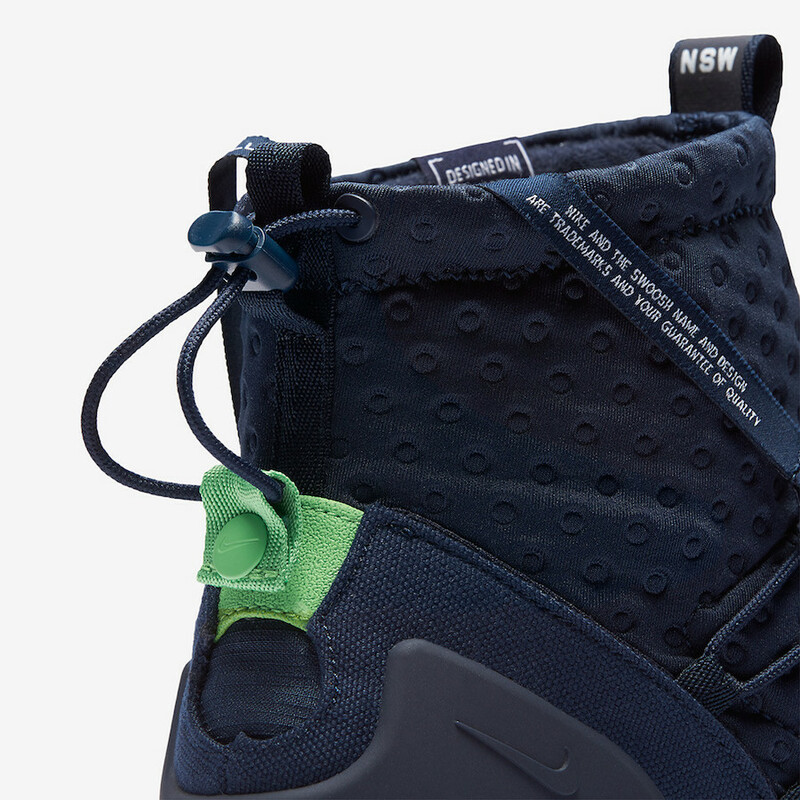 Other highlights includes a sock like collar and motion midsole. 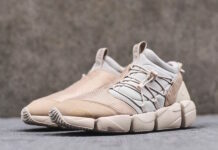 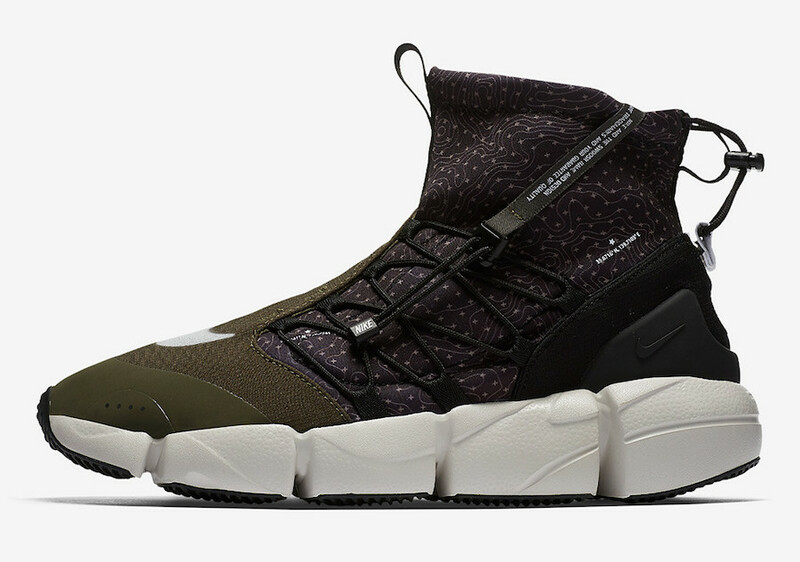 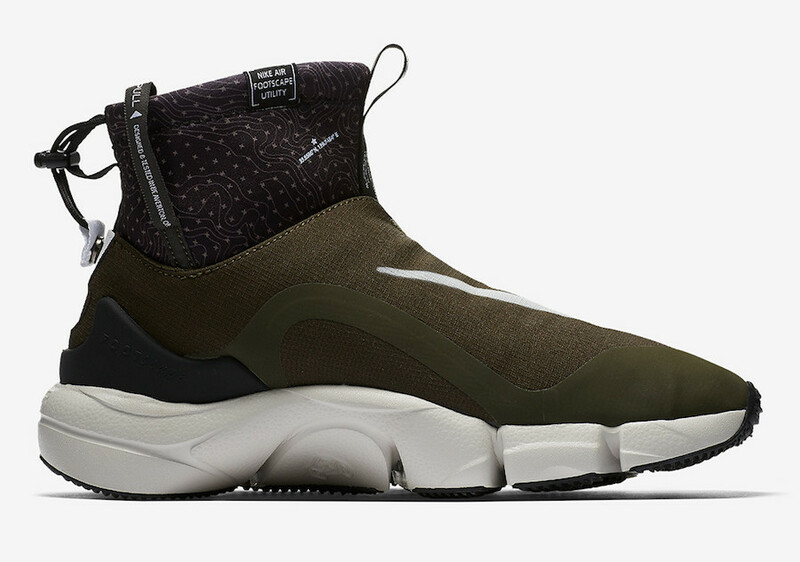 Below you can check out more images of the two Nike Air Footscape Mid Utility colorways which will provide you with a detailed look. 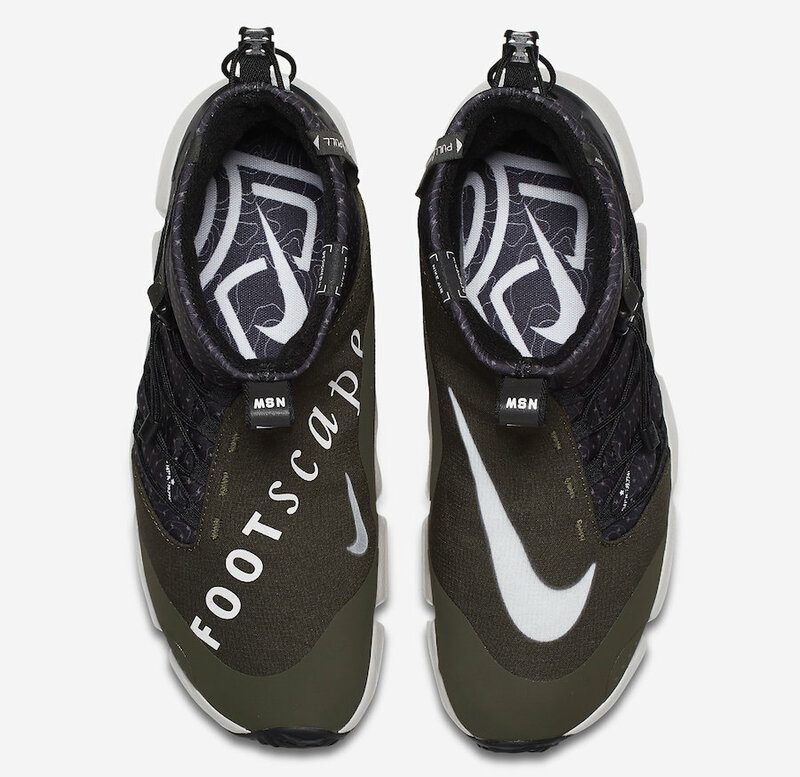 While a specific release date is not available they are expected to launch soon at select Nike Sportswear retailers including online at Nike.com.